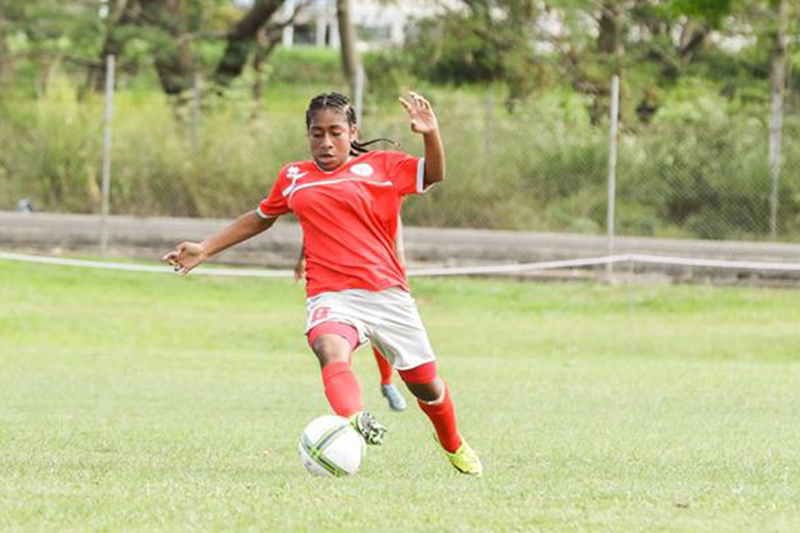 New Caledonia have defeated Tahiti 2-1 on the final day of action for Group A at the OFC U-16 Women’s Championship 2017. New Caledonia: 1. Lorenza HNAMANO (GK), 2. Justine MALAXAN, 3. Cheyenne CIWE, 4. Babette SIMANE ©, 5. Melissa IEKAWE, 6. Lucinda KOINDREDI, 7. Imelda QENEGEI, 8. Jackie PAHOA, 9. Katinka TAKAMATSU, 10. Marie-Laure PALENE, 11. Edsy MATAO. Substitutes: 20. Serena HULIWA (RGK), 13. Alizé SAKILIA, 14. Loéa AJAPUHNYA, 15. Fiona IHAGE, 16. Marthe KATRAWA, 17. Chloé UFEPI, 19. Lorna TARAWIE. Tahiti: 1. Vahinerii PURAGA (GK), 2. Hitiana LONG TANG ©, 3. Hana KIMITETE, 4. Joelle TEPEA, 7. Merehau IOTUA, 8. Tevahine TERIINOHOPUAITERAI, 9. Christiane TETAVAHI, 10. Tiare TEKAKIOTERAGI, 11. Tahia TAMARII, 12. Vahuariki TUFAUNUI, 13. Vahinerii PURAGA, 14. Vaihei SAMIN. Substitutes: 16. Hélène TEMUTU (RGK), 5. Naniloa MARO, 6. Lokelani HAUATA, 12. Vahuariki TUFAUNUI, 15. Ranihei MAHAI, 17. Anais TUUA-TAVE, 18. Heidy MARAE, 19. Corail HARRY, 20. Pare FLORES.